A professor creates a ‘cloud formula’ in a land without clouds. And then the formula is stolen. 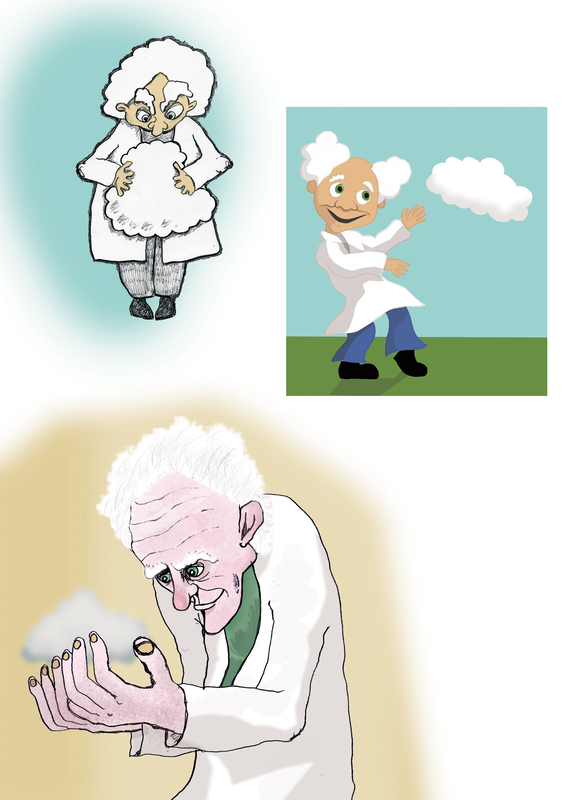 That’s the main thrust of Professor Doppleganger and the Fantastical Cloud Factory, the story I’ve been illustrating for the last week or so. My first task was to work out what Professor Doppleganger might look like. I’ve included a page of designs below. Between cloud illustrations, I’ve been finishing off a fourth blip for The Orchard. I’ve included that here too.